A unit is a type of Iron Age silver coin. In Norfolk many different types of silver unit were produced. Most of them have depictions of horses on the reverse and heads, animals and abstract designs are often shown on the other side. They are often found in hoards, many of which have been dated to the 1st century AD and may be related to the Boudican Revolt of AD 60/61. Silver units are also found on some large Iron Age sites where they may have been used as money. 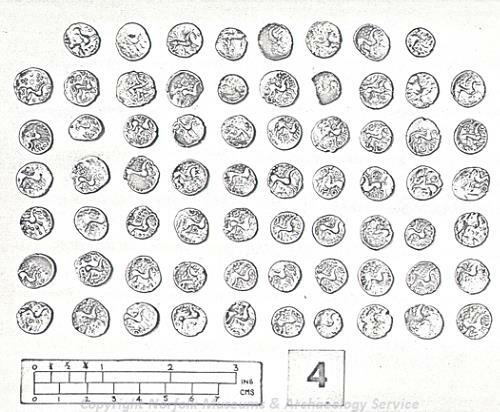 Silver units from other areas of Britain are also found in Norfolk.